when Pontius Pilate was governor of Judea (i.e. 1st century AD). 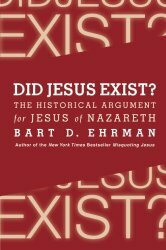 "....the theory that no historical Jesus worthy of the name existed, that Christianity began with a belief in a spiritual, mythical figure, that the Gospels are essentially allegory and fiction, and that no single identifiable person lay at the root of the Galilean preaching tradition" (Doherty) or simply "the historical Jesus did not exist." we can therefore know some things about what he said and did. and bring in his own kingdom here on earth. The most foundational point is that while some views of Jesus could loosely be labeled 'myths' -- Jesus himself was not a myth. He really existed. G.A. Wells (1970s to present, several books like Did Jesus Exist?, 1975), more 'well known' mythicist, expert in modern German intellectual history, speaks the lingo and has read deeply in NT scholarship but most NT scholars do not consider his work convincing or well argued. Mythicists as a group or as individuals, are not taken seriously by the vast majority of scholars in the fields of New Testament, early Christianity, ancient history, and theology. This is widely recognized by mythicists themselves (e.g. Archibald Robertson) and not much has changed in the years since. The Catholic historical Jesus scholar John P. Meier (author of the large 4-volume A Marginal Jew) dismissed G.A. Wells in a single sentence, while British NT scholar I. Howard Marshall (I Believe in the Historical Jesus) mentions Wells' work in a paragraph, and says no scholar in the field finds his views persuasive. Erhman says G.A. Wells and Robert M. Price and several other 'mythicists' do deserve to be taken seriously, even if their claims are dismissed. However, a number of other 'mythicists' do not offer anything resembling scholarship, and present rather sensationalist claims that are so extravagant, wrongheaded, and poorly substantiated that no scholar takes them seriously. Two examples are mentioned, Acharya S or D.M. Murdock (The Christ Conspiracy, 1999, and other books), and Timothy Freke / Peter Gandy (The Jesus Mysteries, 1999). Part III. 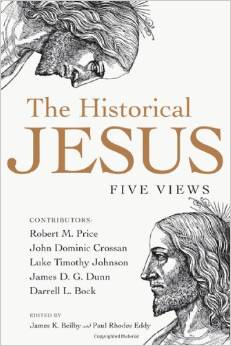 Who Was the Historical Jesus?